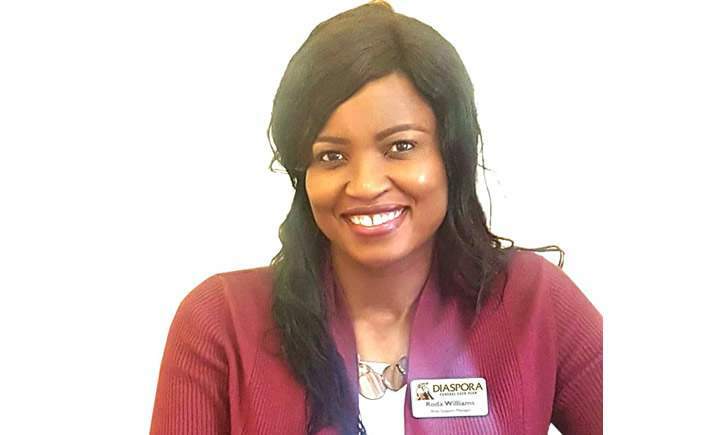 Zimbabwe Achievers International has announced that Funeral Service Provider, Diaspora Funeral Cash Plan (DFCP) have come on board as one of the events' major sponsors. Diaspora Funeral Cash Plan is a cash based life insurance cover, paid in US dollars, and underwritten by reputable specialist life insurance companies in different niche markets, targeted at diaspora communities. DFCP spokesperson, Roda Williams said: "We are proud to be coming on board as a key partner to sponsor the Zimbabwe Achievers Awards. It is an initiative, which has for almost a decade, brought the Zimbabwean community together and, through it we have celebrated, networked and grown in our respective businesses." "We are committed to supporting community initiatives like ZAA because it brings the community together and gives a sense of purpose. Our aim is to continue to develop that community spirit," she added. Executive Director for DFCP, Dr Sibert Mandega welcomed the partnership and said he looked forward to a promising journey with the organisation. Mandega said that the organisation is committed to supporting, engaging, building and being a source to the community in the diaspora. "To date we have settled thousands of claims to help bereaved families give their loved ones a dignified send-off," he said. "We pride ourselves as an organisation whose service is structured to assist the public and that is able to bridge a social crisis. We are always striving to work with the community to provide a bespoke solution, to an age old problem where bereaved families financially struggle," he added. The bespoke Funeral Cash Plan is available on a guaranteed acceptance basis to every Zimbabwean and Zambian worldwide. The insurance is inclusive and covers repatriation, burials abroad, as well as cremations. Meanwhile, the organisation announced earlier in the campaign that Fintech Company, WorldRemit would be this year's global partner, sponsoring the South African, UK, USA and Australian editions. Other sponsors announced for the UK edition include, Steward Bank, Ndasenda, Propertyend, Vaka Buildings,Savannah Freight, Starcover and eZimtech. The awards are taking place on Saturday 12 May 2018 at the Grange City Hotel in London. Limited tickets for the gala are still on sale and the organisers have encouraged those still wanting to attend to purchase them as soon as possible, as there may not be any tickets available on the day. They are being sold exclusively from www.zimachievers.com/uk and priced at £85. The ZAA annual gala is now in its eighth year and has become the society red carpet event of the year, bringing together business leaders and innovators from all sectors to celebrate the achievements of Zimbabweans living in the UK.